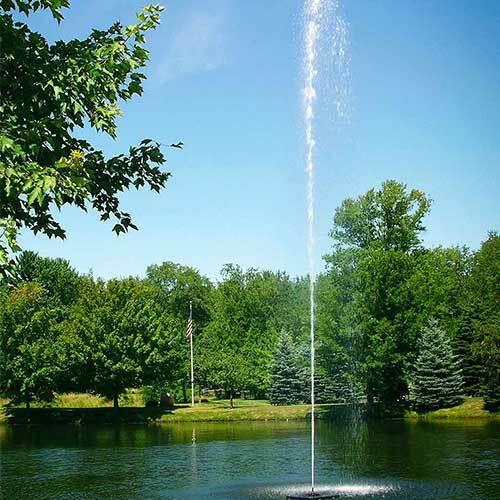 Scott Aerator's Jet Stream Fountain achieves a tight, columnar, vertical spray up to 50 feet with the 1½-hp motor, up to 35 feet with ½-hp models. The single, stunning flume produced by the Jet Stream adds an eye-catching, ear-pleasing focal point to your lake or pond. Enhance it even more with nighttime lighting options. Jet Stream utilizes a stainless steel, oil-free submersible motor, making it the most environmentally friendly style of fountain on the market. 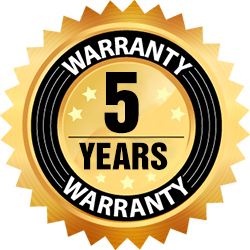 The Jet Stream is proudly manufactured in the USA and carries an unconditional, 5-year motor warranty. The ½-hp units come with 70 feet of submersible, 12-gauge cable (100 feet with the 1½-hp model). Greater cable lengths are also available.